recorded in the office of the Hill County Clerk and Recorder. ______ The Service Member who filed the certificate. ______ The next of kin of the service member (if the service member is deceased). ______ A Mortuary, as defined in 10-2-111 MCA, for the purpose of securing burial benefits. ______ A Veteran’s Service Office or a Veterans’ Service Organization, as defined in 10-2-111, MCA. 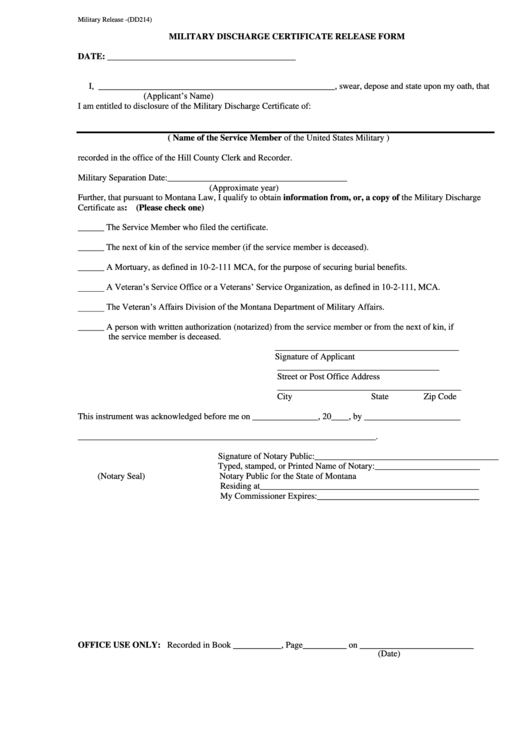 ______ The Veteran’s Affairs Division of the Montana Department of Military Affairs. the service member is deceased.